Universitat Oberta de Catalunya (Spain) has been the first virtual university in Europe, and it has become an internationally recognised online university. Located in Barcelona, is fully committed to meet lifelong learning needs of people from all over the world. It gathers a community of over 60,000 students. 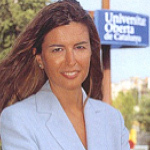 Inma Rodríguez-Ardura is a tenured Associate Professor of Marketing within the Economics and Business Department of the Open University of Catalonia (Universitat Oberta de Catalunya, or UOC); and the Director of the ‘ONE’. ONE is a research group of the Internet Interdisciplinary Institute (IN3) within the UOC, which is accredited as a Consolidate Research Group by the Catalan Government. Dr. Rodríguez-Ardura’s teaching and research focus on digital marketing, and online consumer behaviour. Her work has been published in a number of journals including Computers & Education, Computers in Human Behavior, Electronic Commerce Research and Applications, Internet Research, and The Information Society. Her most recent papers will soon appear in Interactive Learning Environments, and South African Journal of Business Management. In addition, she has presented her research at many international conferences. She has also coedited several special issues; and presently serves on the editorial boards of IN3 Working Paper Series, and Journal of Theoretical and Applied Electronic Commerce Research. She has been working on many competitive research projects funded by Spanish, European, and international institutions. She has authored the books Marketing.com (Esic), and El marketing y el éxito en la empresa (Pirámide); and has co-authored dozens of books related to marketing, communication and e-commerce. She joined the UOC in 1996, during the first academic course of this University. Until 2002, she was also a member of the Faculty of the University of Barcelona. In addition, she undertook academic activities at the RCC-Harvard University, and at the University of California, Berkeley; and has taught many master’s courses and seminars at Spanish universities. In the last years, she also served at the University of Oxford as a Visiting Fellow of the Oxford Internet Institute (2010/11), and at Babson College, Boston (2011/12), as a Visiting Professor. 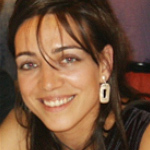 Professor Rodríguez-Ardura holds a doctoral degree in Economics and Business Sciences from the University of Barcelona. At the UOC, she has been Director of the Master’s Programme in Marketing Management (2003-2008), and Director of the Bachelor’s Degree Programme in Marketing and Market Research (2002-2006). Moreover, she has been serving as Director of the UOC’s Master Programme, and the Doctoral Programme in Information and Knowledge Society (2008-2009). Click here to consult her detailed CV. Since 2000, Josep Lladós-Masllorens is a tenured Associate Professor of Applied Economics at the UOC, and a Researcher of the research group ‘ONE’, within the IN3-UOC. He holds a doctoral degree in Economics and Business Sciences from the University of Barcelona and a postgraduate diploma in Economics and Regional Tax Management from such university. 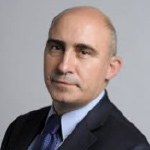 Prior to this, he was an Assistant Professor at the Autonomous University of Barcelona, economic analyst at the Barcelona Chamber of Commerce, and head of the Finance Service of the Barcelona Metropolitan Area Community of Municipalities. At the UOC he served as Director of the Bachelor’s Degree Programme in Business (2004-2006), and Vice-Chancellor for Faculty and University Policy (2006-2009). Furthermore, he has been the Director of the UOC’s Doctoral Programme in Information and Knowledge Society (2009-2013). Currently he serves as Director of the IN3. As a ONE’s member, Dr Lladós-Masllorens conducts research activities linked to innovation, entrepreneurship and business competitiveness. In these fields, he has published articles, books and teaching materials coordinated many research projects and presented communications at numerous scientific conferences. He has been a member of the group of experts who sat on the Catalan Regional Government’s Competitiveness Panel. Click here to consult his detailed CV. 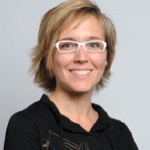 Eva Rimbau-Gilabert is a lecturer in the area of Human Resources Management at the UOC since 2004, where she has served as Academic Director of the Bachelor of Work Sciences, the Masters Degree in Occupational Risk Prevention, and the Graduate Studies in Business and Economics. She holds a doctoral degree in Management and Business Administration from the University of Barcelona, and is a member of the Research Group “Observatory of the New Economy” (ONE), at the Internet Interdisciplinary Institute (IN3) within the UOC. Her research interests are twofold: in the field human resources management, Eva focuses on virtual work, flexible work relations and people management in knowledge-intensive organizations; while in the field of e-learning she is interested in the effective delivery of online management courses as well as in the management of online universities. 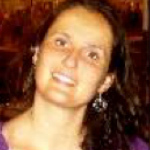 Eva has published research articles, book chapters and teaching materials regarding both lines of her work. Click here to consult her detailed CV. Gisela Ammetller-Montes is a Lecturer in Marketing at the Economics and Business Sciences Department of the UOC, and a researcher of the group ‘ONE’ within the IN3-UOC. As a researcher of the ‘ONE’, her research interests lie in the areas of consumer behaviour, e-marketing, entrepreneurship and the marketing/e-learning interface. She holds two Bachelor Degrees from the University of Barcelona: Business Administration (2000) and Marketing and Market Research (2002). She has been awarded with a Doctoral Degree in Information and Knowledge Society from the UOC (2011). She defended the doctoral thesis Consumer behaviour and support products for business creation and growth: an empirical analysis of the behaviour of the entrepreneur in incubation spaces. This research addressed the behaviour of the entrepreneur in a new business incubation environment considering the entrepreneur as the consumer of a particular product type: the goods and services for business creation and growth. At the UOC, she has been Academic Coordinator (2006-2008) and Director (2009-2011) of the Master Degree Programme in Marketing and Communication Management. She has also co-authored a number of didactic materials for e-learning courses in marketing. Click here to consult her detailed CV. Carmen Pacheco-Bernal is a Lecturer in Marketing at the UOC, where she is in charge of marketing and market research courses. She further serves as Director of the Master’s Degree Programme in Marketing and Communication Management. Currently she develops her doctoral thesis on internet-based market research and, specifically, on the study of factors determining the adoption and diffusion of online surveys by companies that need information on the markets in which they carry on their activities. As a ONE’s member, she also performs R&D activities in the field of workplace e-training. Click here to consult her detailed CV.